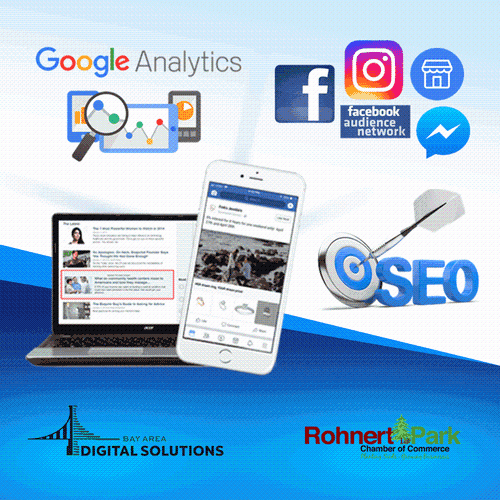 Bay Area Digital Solutions and Rohnert Park Chamber of Commerce are proud to welcome Nationally Recognized Digital Trainer and Speaker, Leslye Schumacher, as we dig deeper into some of the most "asked about" topics in Digital Advertising. 12:15pm-1:15pm SEO: What you can do .... What we can do! All Classes are FREE. Seating is limited. We ask that you please register in advance. Click on the link below to register for the event.